There's a lot to be said for the internet. Some of it good, some of it bad, but a lot to be said. Let's stay on the good side for today. Got an email yesterday from a digger. He follows this site pretty regularly and especially likes it when we either validate, or disprove, something that's been accepted as gospel since the beginning of bottle collecting. When this site first sprung up, we included a lot of references to Sanborn Fire Insurance maps. The maps were an invaluable tool that we used in dating businesses through their various moves as they evolved. They also often provided diggers with a starting point with which they could research a site prior to digging it. It added an element of science to the old probe, probe, and probe some more method of urban archeology. The digger noted that the presence of Sanborn maps abruptly vanished from the articles being posted and wanted to know why. "Unfortunately, the Sanborn Maps are only available to institutions and not the individual user. We license the content directly from Sanborn Maps so the requirement are rather stringent. I wish you success in your research and your writings, your topic sounds very interesting. Thank you, Online Customer Support"
Now what? A google search revealed that I wasn't the only one swimming in circles. The internet was buzzing with folks complaining about the same thing. True, some libraries, in some states, had purchased access rights and one could in certain instances, access the database for selected regions with the use of their library card. A lot of good that does when your library system is broke, open one day a week and doesn't have the funds to pay the light bill, let alone a large sum for database access. And so my friends, that is why you no longer see references to the Sanborn maps on this site. Hope springs eternal and with luck, someone will be generous enough to provide us with access to the database again. Until such time, all I can say is; Sanborn, Sanborn. Wherefore art thou Sanborn. The other day a good friend of mine sold me a bottle that I'd always wanted. With only a couple said to exist, I'd never had the opportunity to acquire one. In fact, I don't recall having even seen one before. From across the room, (especially with my lousy eyesight) it can easily be mistaken for your basic meat and potatoes Kellogg's. Get a little closer though and it's easy to spot the difference. Cork top instead of inside thread for one. Plus crude and rude is the order of the day. But wait, there's more! 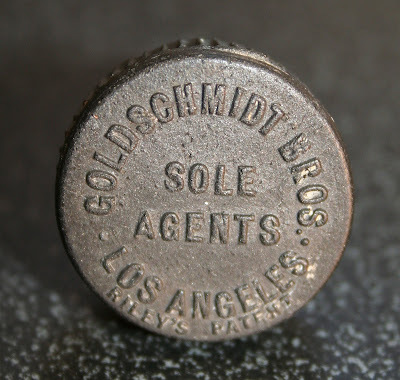 Instead of W. L. Co, "W & Co." is prominent on both the obverse embossing near the base, and on the seal on the reverse shoulder. 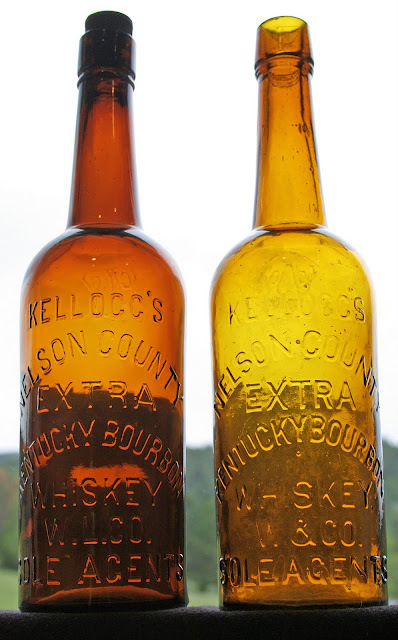 The embossing is the older rounded style found on the McKennas, but the W & Co. Kellogg's is a two piece mold instead of 4 piece. How old is this variant really? Mid 1880's transitional tool top, early 1890's toolie, mid 90's? Inquiring minds want to know, so I pulled out the 2002 edition of Whiskey Bottles of the Old West by Thomas. 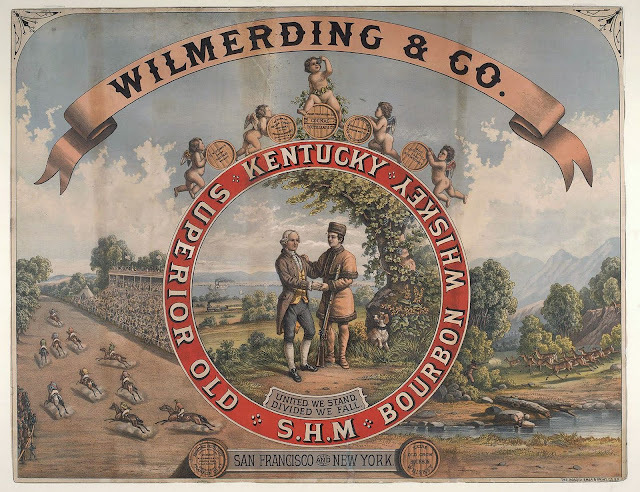 According to John, Wilmerding & Kellogg started up in 1868, becoming Wilmerding & Co. in 1878. Supposedly, the Loewe Brothers took over Wilmerding Kellogg & Co. in 1894, shortly after Wilmerding died. So, at least in theory, the W&Co. Kellogg must date somewhere between 1878 and 1894; right? 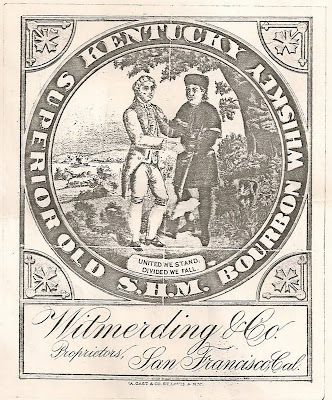 The "who" in Wilmerding & Co. is as follows: The Daily Alta February 16, 1880 edition classified / public notice section states that the firm of Wilmerding & Co dates from December 29, 1879 and was doing business at 214 - 216 Front St. at the time. The principals were J. Clute Wilmerding and John Tuthill Haviland. The co-partnership documents had been filed and notarized on January 17, 1880. 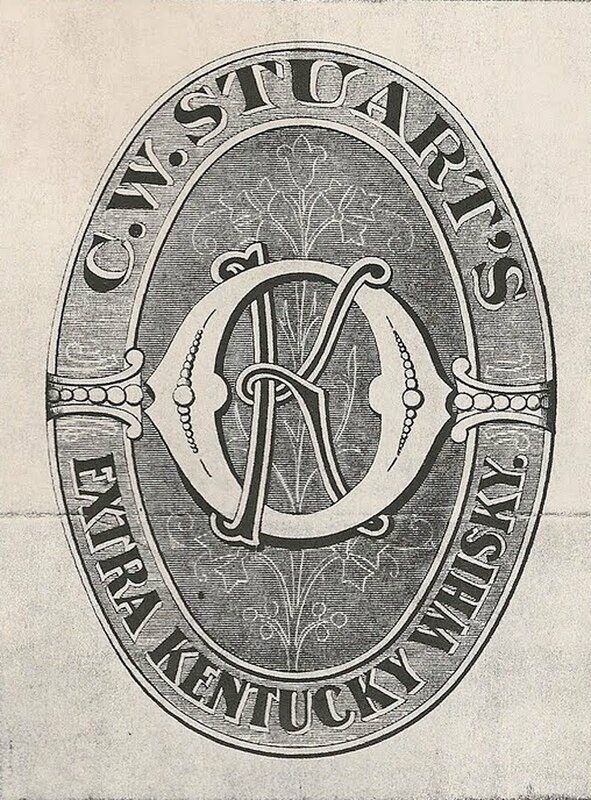 Another reference that I came across for the firm was on April 16, 1888; again re-acknowledging the partnership. A listing of a deck of Wilmerding & Co. playing cards in an abandoned freight manifest appears in the classified ads in 1890. In 1894, on December 10th, Wilmerding & Co. transferred the rights to both their SHM and C. W. Stuart brands to Loewe Brothers, thus proving that the partnership change had not yet taken place. However, it was probably a precursor to the merger, since the emergence of Wilmerding - Loewe Co. occurred in 1895. In a nutshell, W & Co. began life in January of 1880 with only two principals, minus Mr. Kellogg, and terminated with the merger or takeover from the Loewe Bros. in 1895. Still a pretty big window but at least we can positively date this variant within a fifteen year period. So, kudo's to JT for pretty much hitting the nail on the head as far as dating. 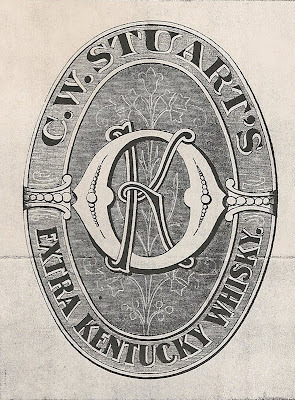 But the big question is, did this bottle once bear a paper label for SHM Superior Old Bourbon or perhaps C. W. Stuarts Extra Kentucky Whiskey? Got a call the other day from a collector out east of the Washoe. 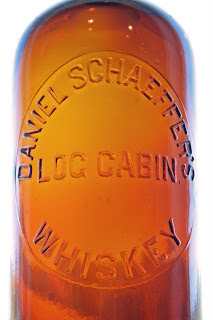 He's been a whiskey collector forever and, unlike most of us, was able to start from the top down. 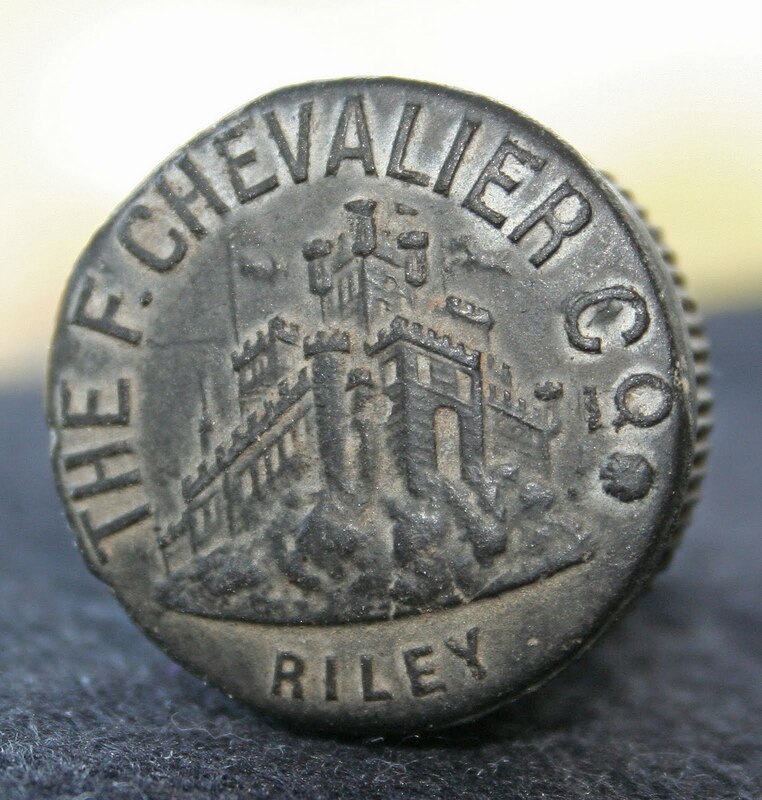 The silver camps of Central Nevada were kind to the early diggers and many of these collectors succeeded in building their collections with a shovel instead of a silver pick (translated; a wallet stuffed full of cash). And, why bother with tooled whiskies when the globbies were laying on the surface waiting to be picked up and lugged home. Sure, it was neat to be able to assemble a run with the likes of one each of say, a Choice Old Cabinet, J. Moore / Chielovich, Gold Dust, Pride of Kentucky, McKenna, SHM, OPS, Millers Extra, Kentucky Gem and Castle (to name a few), with no out of pocket expense. But the easy pickins dried up years ago and the economic reality of building nothing but a top end collection of rare glop tops has long since sunk in. Fortunately, there's an affordable alternative to the big dogs which have been priced out of most of our budgets; the "go with" tool tops. 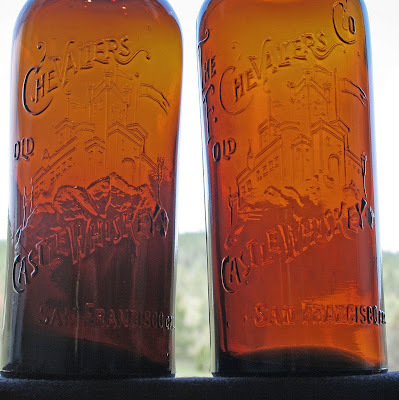 Most of the outfits that peddled their wares in glob top bottles, survived well into the tool top era and as such, it's easy to pair up both a glop and a toolie with the same brand name embossed on the bottle. 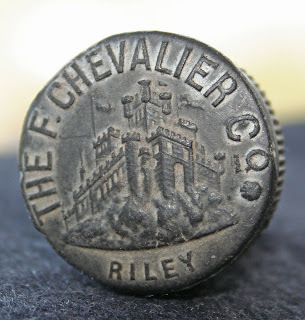 After reminiscing about the good old days, we started talking about what a solid value some of the toolies have remained and the conversation eventually wound around to the F. Chevalier picture Castles. I know, a lot of the gang thumb their nose at them because we still see them with regularity and they can still be had reasonably. But seriously, full face embossing, a picture of a castle and with San Francisco prominently embossed front and center. All that for a paltry amount by comparison, how the heck can you go wrong? In the course of discussion, the gent mentioned hearing of an oddball example of #144 in the 4th edition of Western Whiskey Bottles. 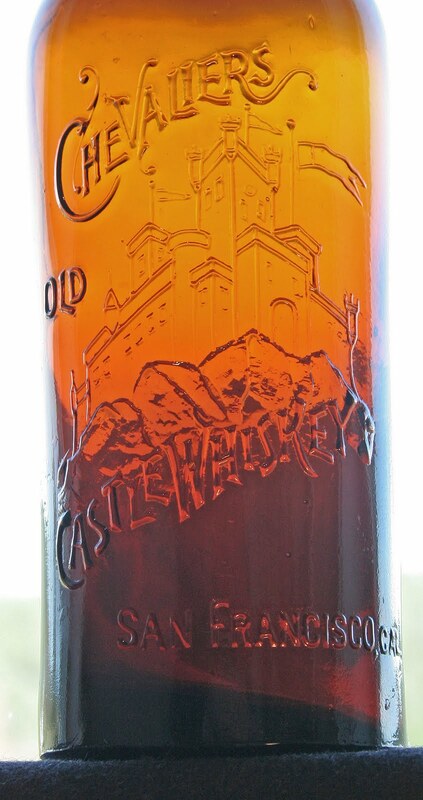 It was listed as; "The F. ChevalierS Co. / ornate picture of Castle / Castle Whiskey / San Francisco, Cal. (this is the tough one with the plural mis-spelling)". Now this critter has always been something of a mystery to me. I've always listed is as "144V" because it's a variant with what we've always assumed was a mis-spelling in the plural of Chevalier. That was until I absentmindedly sat it down next to the earliest of the picture Castles, #142, in my collection while we were talking. Boinnnng...! It was at that moment that yet another assumption got shot in the seat of the pants. That's right, the 144v is actually nothing more than a remodeled 142 mold. Rather than commission a new mold, the mold guys simply added additional embossing to the old mold. A close side by side comparison confirmed my suspicion. The body of the bottles are indeed one in the same. Sure, the rocks are a bit weaker on the 144 but, that's to be expected as the mold began to wear. The earliest 142, with the cork closure, is days away from having an applied top. Based on the ca. 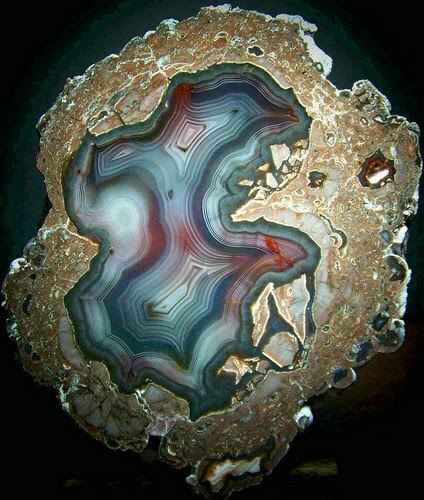 1890 date that it's attributed to, there's a good chance that a globby exists! The couple of examples that I've seen have been crude as can be; miles away from the neatly made appearance of the 143 and 145 - 147 molds. The next 142, with the inside thread closure and Riley patent ebonite screw top was a new, and slightly different, mold with modifications employed to allow for the next in the line of closure evolutions. It too, is crude and rude, and appears to date from the onset of the Riley patent application dating to the early to mid 90's. 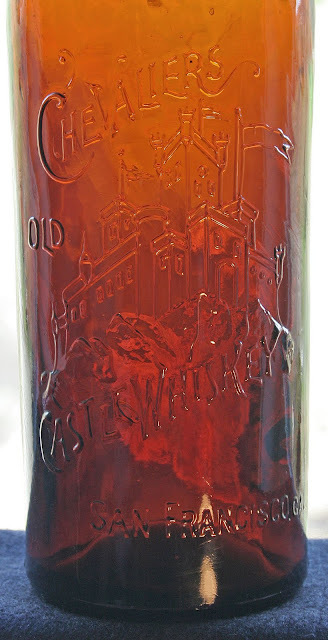 Slightly later, probably in the late 90's to the TOC, the original #142 cork top mold was modified and the words "The", "F", and "Co" were added to allow continued re-use of the still perfectly good mold. 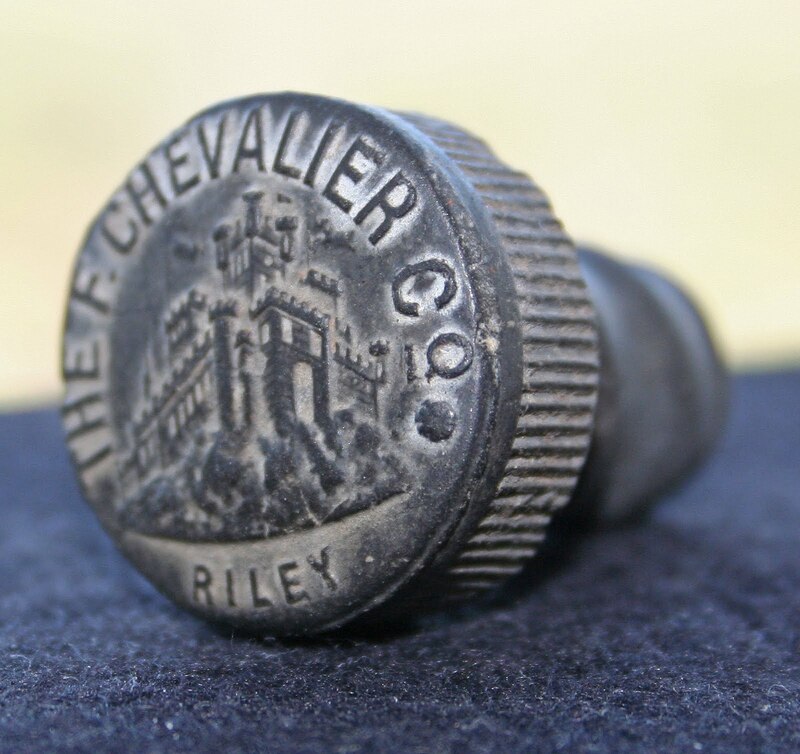 At this time the lip tooling process was modified and the inside thread closure began to be employed on this updated variant. Additional air venting is also evident when examined with a loop. Seems like new discoveries are popping up like the toadstools in my pasture. Just touched base with another a well know collector who acquired yet another variant of the #142. He'd dug a broken one years ago and stumbled across a mint example recently at a yard sale tucked in amongst a bunch of junkers. Same embossing but a quart in capacity. Obviously, a totally different mold once again! Keep 'em comin' guys! 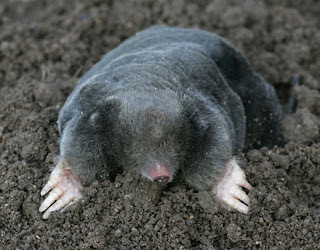 I know, you're thinking that ol' KG has finally lost what few marbles he had... After all, what could a thunder egg (geode for those in the know) and a mole (subterranean rodent for those in the know) possibly have in common? And, for that matter, what the heck is a map of Oroville doing in the mix on top of that? Well, it all started a few weeks ago when I got an email from "Bill the Eggman", down in the old southwest. You see, Bill was, for many, many years, one of the legends when it came to western whiskies. He's since strayed a bit and now focuses on thunder eggs (with equal success and stature), but "back in the day" was considered to be one of the most successful western whiskey diggers on the face of the earth. 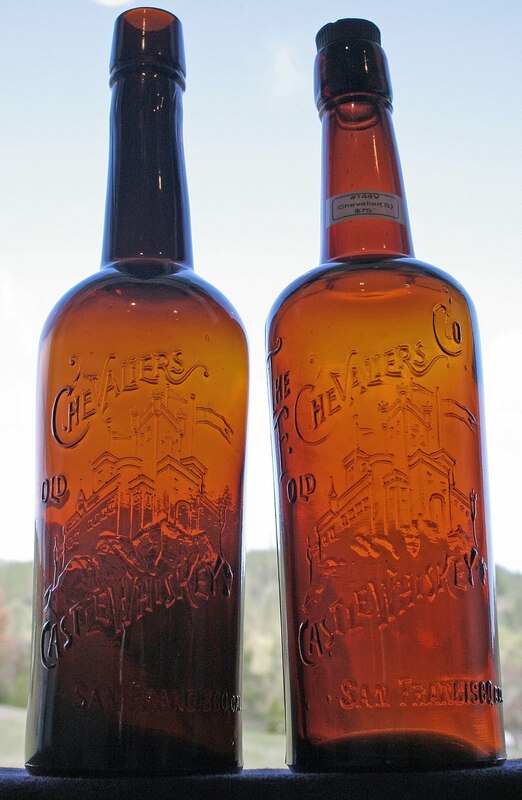 Bill emailed me with photos of a bottle that I'd never heard of. 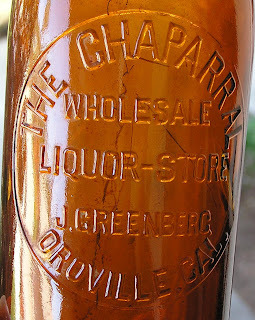 Embossed "The Chapparal / Wholesale / Liquor - Store / J. Greenberg / Oroville, Cal. ", it's a fifth with a tooled long tapered collar over single ring in amber with the embossing contained within a circular slug plate. "Hi, saw your western toolie blog wanting info on unlisted western tool tops. This one is as rare as they get. I dug this pictured specimen about 10 years ago in Oroville Calif. It was the first known whole example. Before that, shards of two were documented by the Butte County Historical Society booklet. The shards dated back to the 1960's I think. 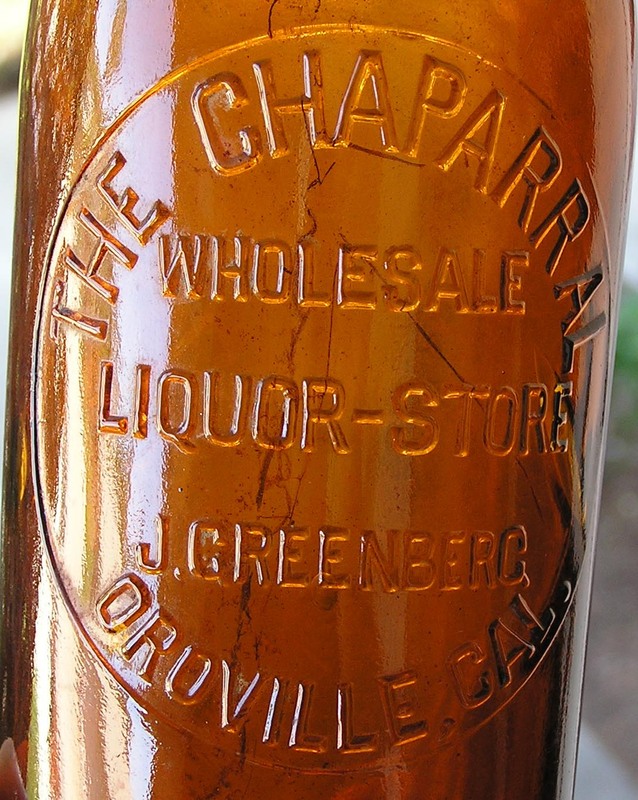 Several of us dug Oroville for about 25 years, without ever seeing another shard of the Chaparral. Maybe 300 holes. Then I was digging a basement pit in Oroville's "X" and this rolled out amongst a dozen and a half Manhattans also from Oroville. Thankfully, a second Chaparral came out of the same lot maybe 15 feet from the first one. The property owner, my friend "X", kept the second one, I have this first one. That is all there are. No shards from anywhere else in the following 10 years either"
Wow! Another fresh find for the fifth edition; and a matching pair no less! "Hi Bruce, know anything about this Fifth? I can't find anything on it. Recent street fair find, you can put it on your site if you want." Still, I'm sure that some of you enterprising folks out there can figure a way to re-access the database. Feel free to forward whatever you come up with in the way of research pay dirt and I'll post it in a follow-up. 'Till then; Many Thanks to Bill the Eggman and Rick the Botlmole for sharing the new find with all of us! hi, here is a picture of the only complete mint set of oroville whiskeys. the senate is as rare as the chaparral with only two known complete examples.the chaparral is the second one bill speaks of,and the manhattan was one of six to also come off the property.the chaparral was located right next to the u.s. hotel on montgomery st roughly two blocks from the property they were unearthed from which happened to be a chinese restaurant.my father "x" ownes the property in orovilles china town that produced truck loads of bottles of all types.any way thought you might like the picture for your site...happy easter chris. ps. me and my digging partner can account for four more broken chaparrals"